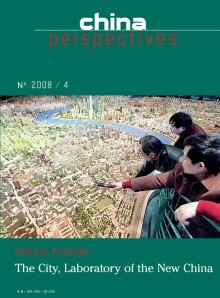 Metropolisation is essential to approaching the current changes in urban China. We put forward three complementary approaches to understanding the main phenomena that structure the Chinese metropolis today and will mould it tomorrow: hypermodernity, contestation, and regulation. Since the 1950s, Shanghai has undergone major changes, reflected in the practice of urban planning, which has been influenced by different Western theories. Strategic and collaborative currents as well as the concept of sustainable development have helped reformulate urban planning styles. Does this renewal mean the emergence of an original model of Chinese urban planning, notably with the concept of harmonious urbanisation? After the Chinese leadership became cognizant of the negative social externalities of marketization–especially potential threats to its hallowed objectives of social stability and successful state enterprise reform–it initiated a novel welfare approach, the dibao, to handle the people most severely affected by economic restructuring. I review the state’s management of these people and the latter’s experiences. I argue that they are seen subliminally (if not explicitly) by the elite as a menace to officialdom’s modernization ambition. Hence, the dibao is structured so as to keep its targets quiet and out of view, now and into the future. Chinese cities face the challenge of battling air pollution during a time of rapid urbanisation and rising energy demand. Poor air quality is heightening anxiety over the environment. Given pollution’s economic cost, a real policy of monitoring and control has emerged at the national level. Chinese researchers and industry have come up with technological responses to the enormous challenges. While some showcase cities have boosted their pollution-control measures, the situation in smaller ones remains largely catastrophic. China’s post-reform modernisation and hyper-urbanisation have brought new public spaces to Chinese cities. This article examines the development of a public sphere and five types of new public spaces: newly-open landscapes, squares, commercial spaces, “green” spaces, and transitional spaces. Specific examples are drawn from Beijing, Shanghai, and Xining. This section, prepared by the Asia Centre (www.centreasia.org), draws mainly on the press in Chinese, aiming to reflect the point of view of the People’s Republic of China on international questions and issues related to Greater China. • Wang Shan, “Ma Ying-jeou and the non-state theory: Taiwan or China’s puppet,” Xin Taiwan Xinwen Zhoukan, n° 651, 11 September 2008. • Hsueh Hua-yuan, “Ridiculous non-state theory,” Xin Taiwan Xinwen Zhoukan, n° 651, 11 September 2008.